All ideas, recipes, and opinions are entirely my own, however, this is a sponsored post on behalf of wholesome brands, Van’s Simply Delicious® and Wallaby® Organic. Fall is right around the corner, and my taste buds can’t wait for all the delicious fall flavors. 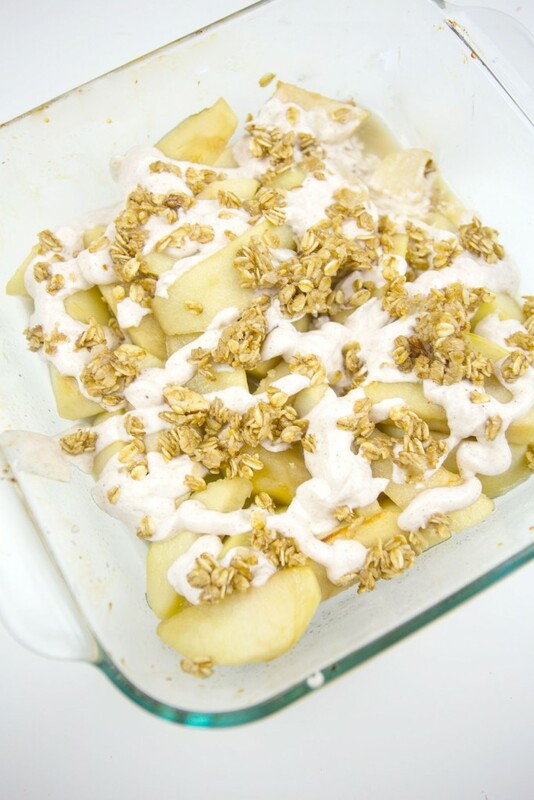 We are getting a head start this year with some Baked Apples with Yogurt and Granola, an easy recipe packed with tons of flavor! 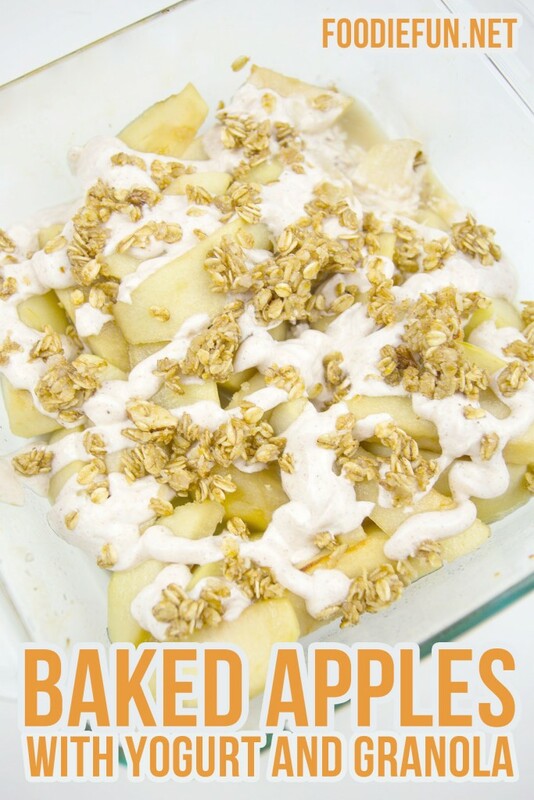 I am all about simple and yummy recipes, and this one couldn’t be easier. 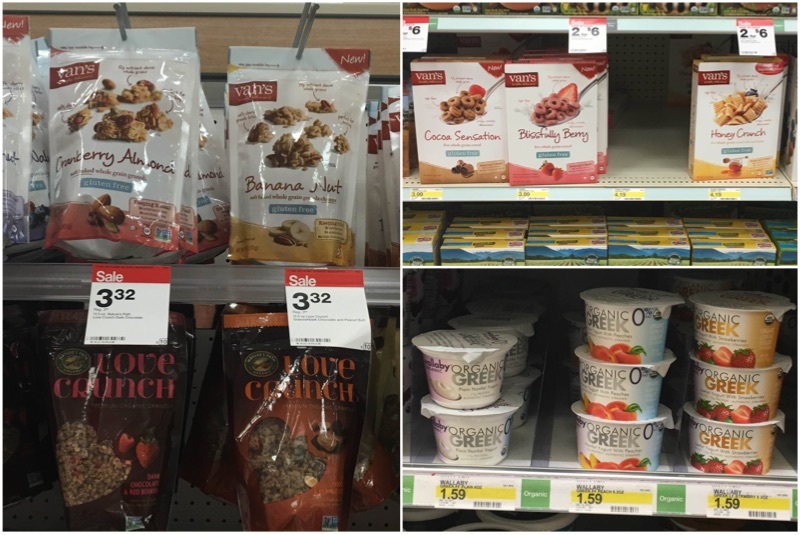 These wholesome foods are a natural fit for your lifestyle and they’re available at Target! 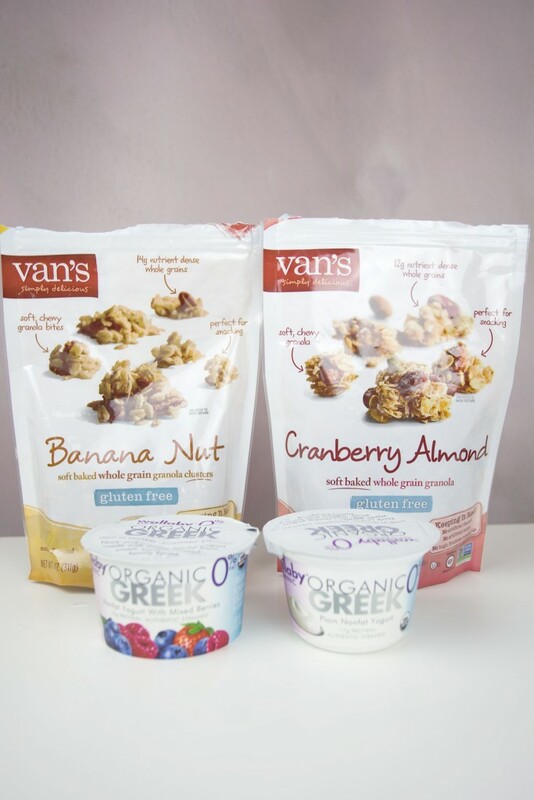 Whether for breakfast or snacking, the possibilities with wholesome foods, Van’s and Wallaby, are endless. Download the Target Cartwheel deal to save on Van’s and Wallaby products. 1 container Wallaby Organic Vanilla Bean Greek Yogurt, 5.3 oz. Van’s Simply Delicious™ Gluten-Free Banana Nut Granola, 11 oz. Slice, core, and peel the apples. Place them in a 9×13 inch baking dish and drizzle them with the melted butter and maple syrup. Stir to coat all the apple slices with the mixture. Bake for 20 minutes until apple slices are golden brown and liquid is bubbling. Meanwhile, mix the pumpkin pie spice into the Wallaby Organic Vanilla Bean Greek Yogurt. Add to a ziplock bag and cut the corner. 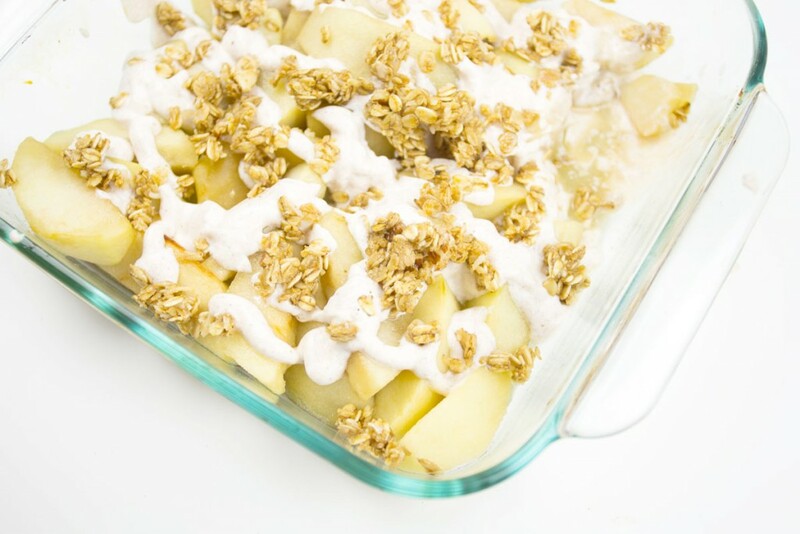 Drizzle the yogurt mixture over the warm apples, then sprinkle with Van’s Simply Delicious™ Gluten-Free Banana Nut Granola. You can also substitute different flavors of Greek yogurt and granola, like Wallaby Organic Strawberry Greek yogurt or Van’s Simple Delicious™ Gluten Free Cocoa Sensation! — I think it would be really yummy with the mixed berry Greek yogurt and cranberry almond granola. YUM!